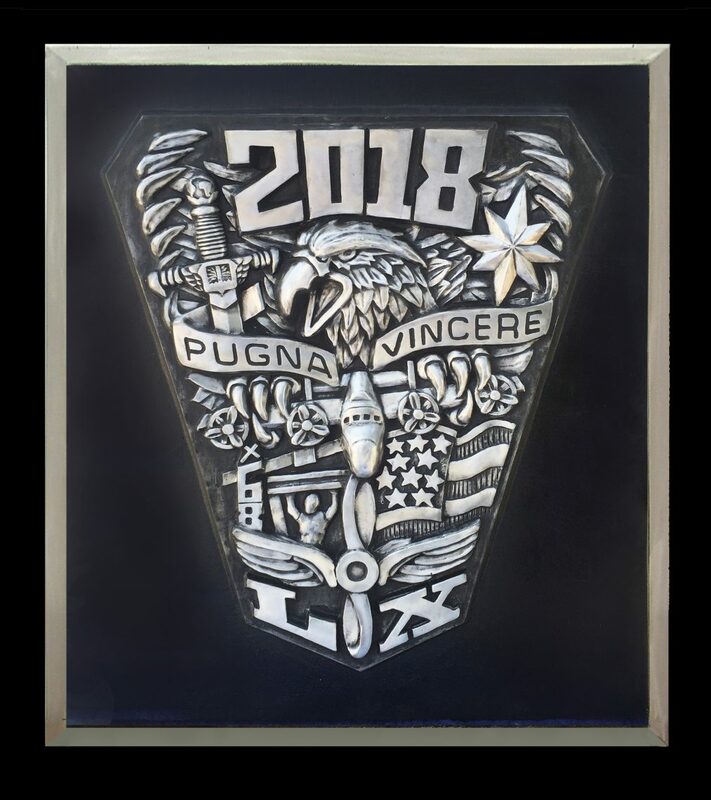 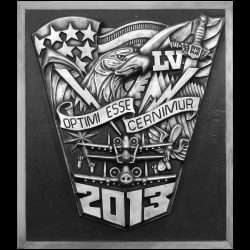 Every year the new Junior class at the USAF Academy appoints a ring committee to meet with the representative of the class ring manufacturer, Jostens, to design the crest for their class ring. 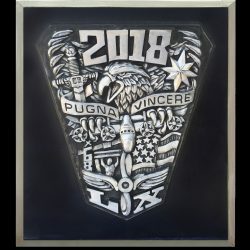 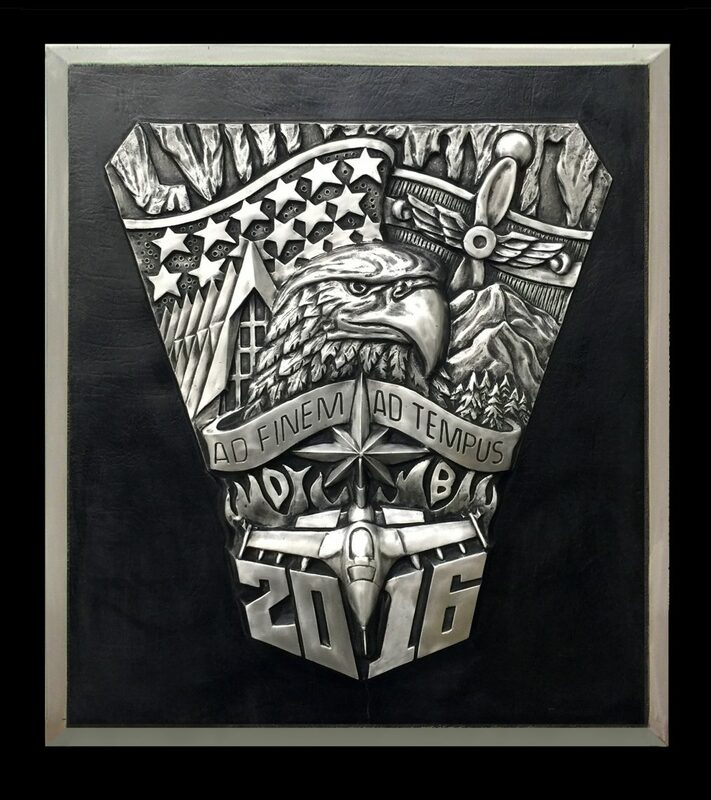 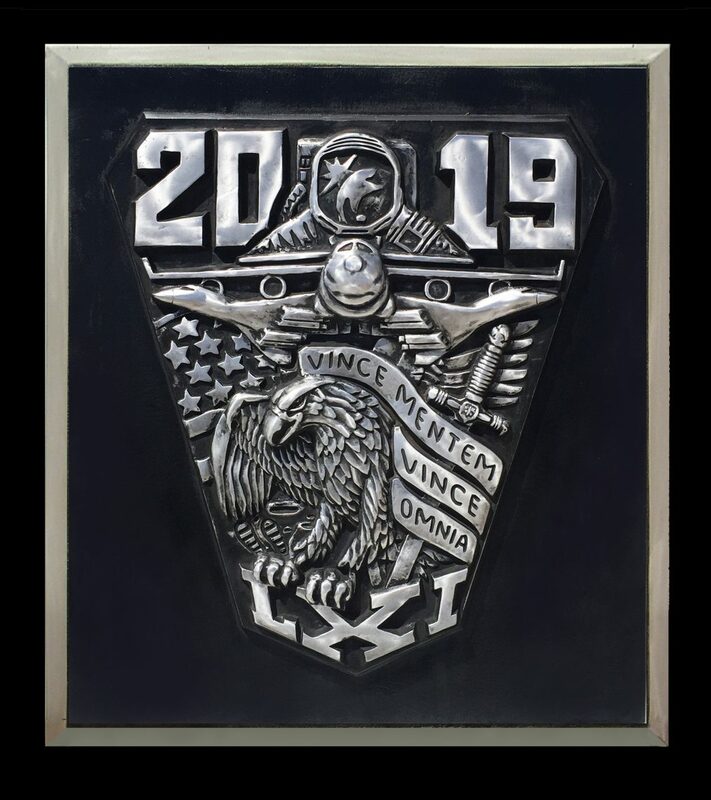 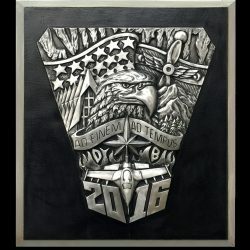 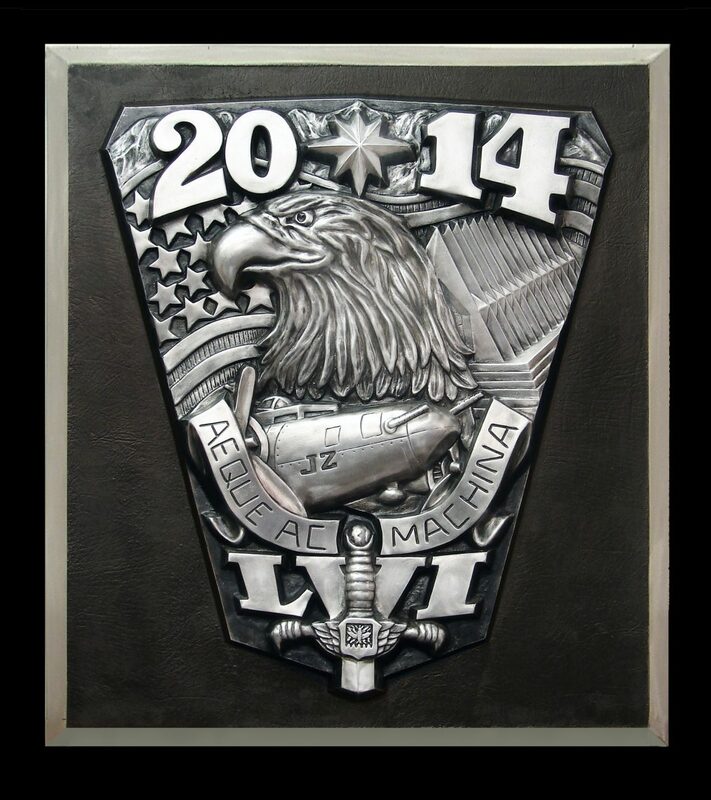 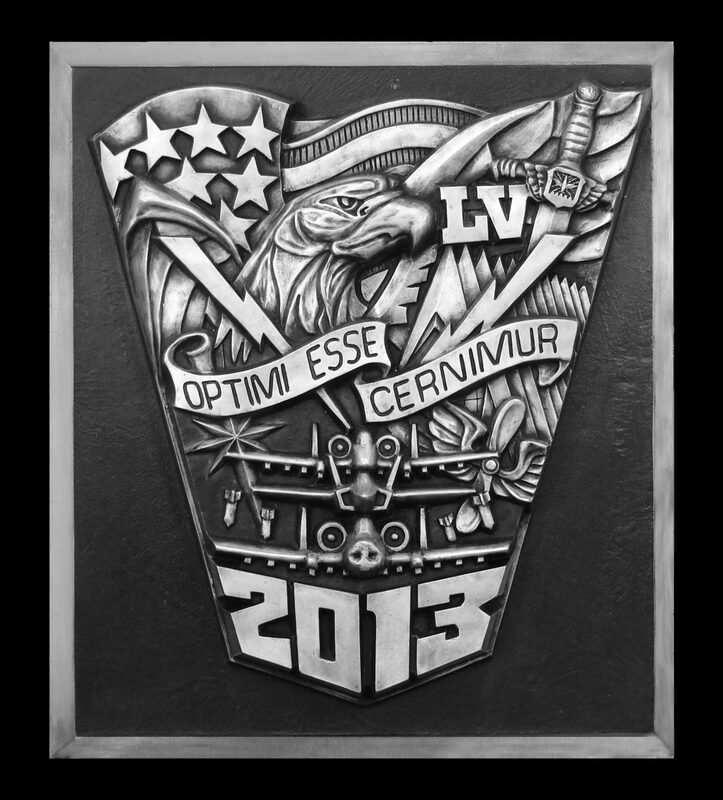 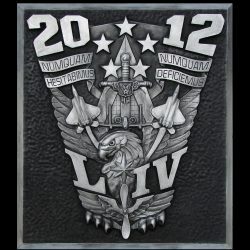 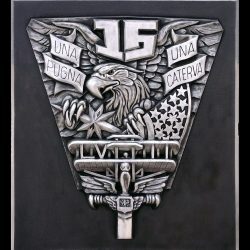 After Jostens has the final design, the Association of Graduates commissions Sculptor James Nance to interpret the design and sculpt it in clay and cast it in a 28 inch by 32 inch aluminum plaque. 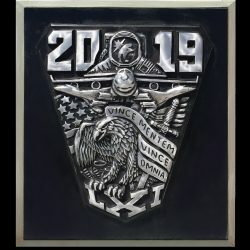 When the class becomes Seniors, they have a ring dance where the plaque is available for photos with the cadets and the new seniors receive their rings. 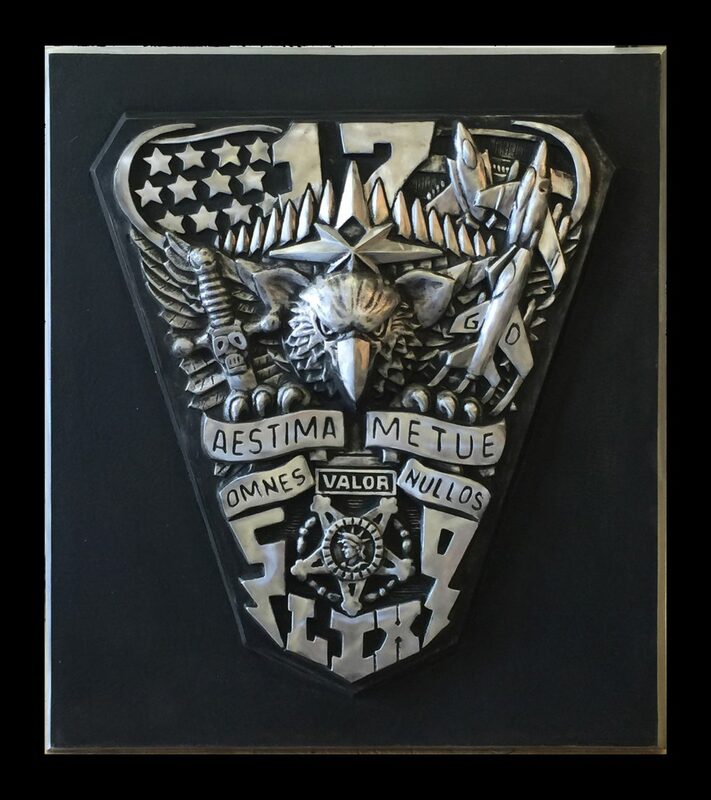 A week later during the graduation parade of the outgoing class, the new senior class crest is mounted on the West wall of the terrazzo below the Chapel. 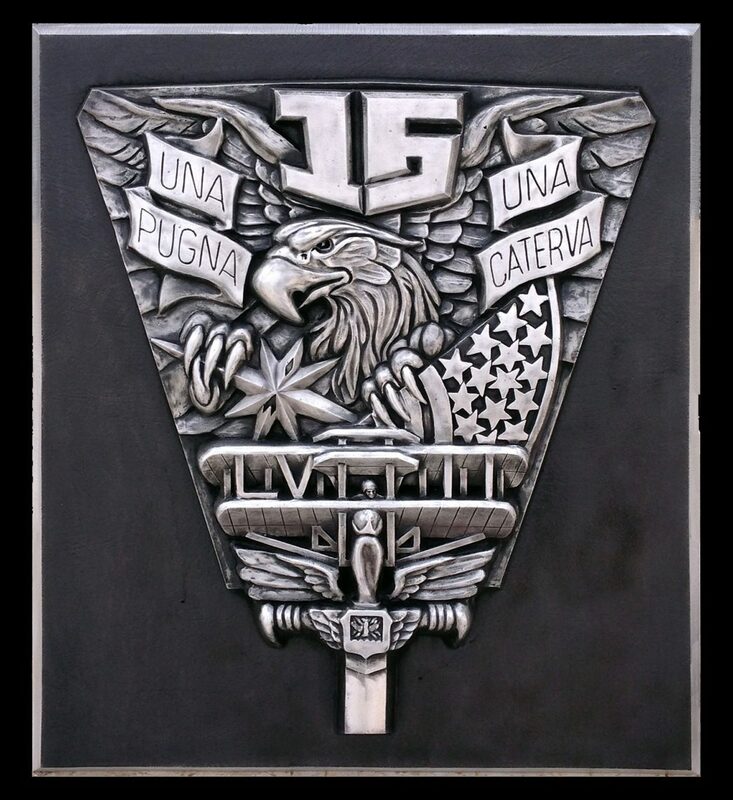 The copyright is owned by the USAFA Association of Graduates. 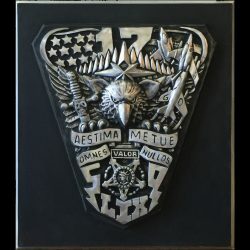 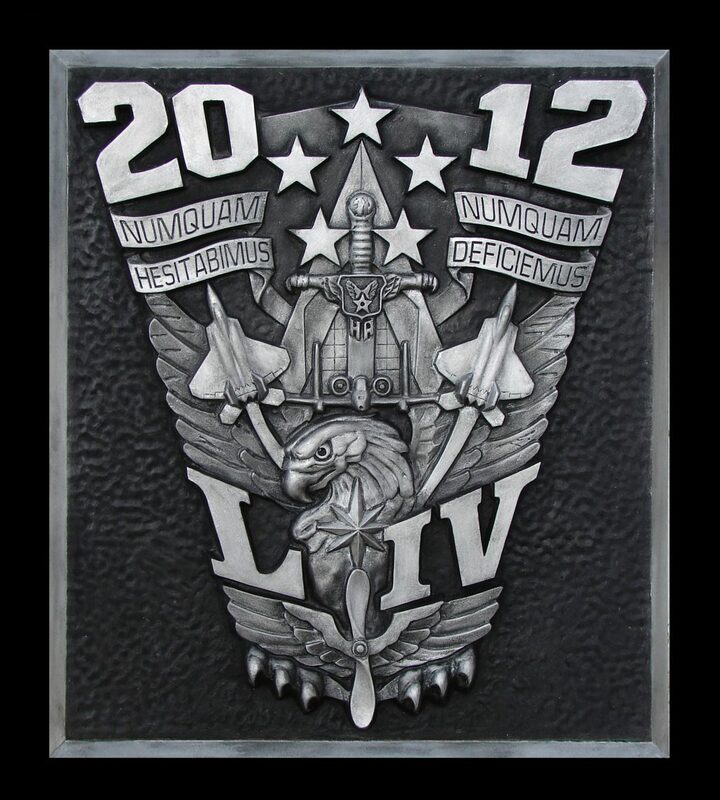 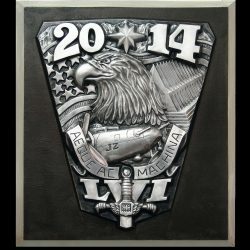 Sculptor James Nance has been sculpting the crests since 2012.